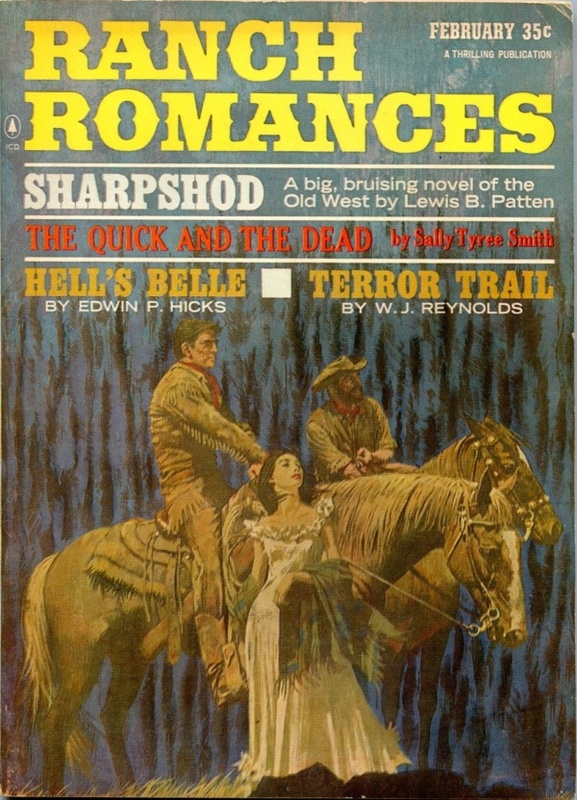 Also featuring The Quick And The Dead, Hell’s Belle, and Terror Trail. 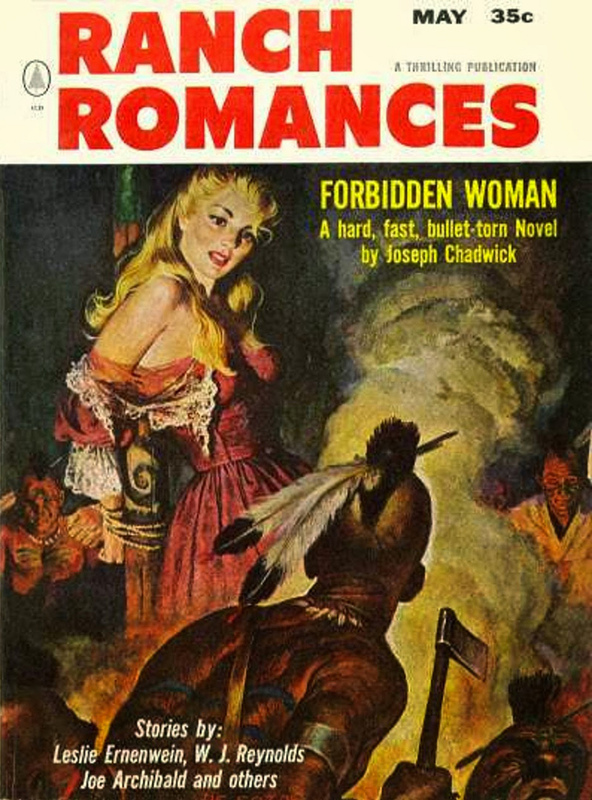 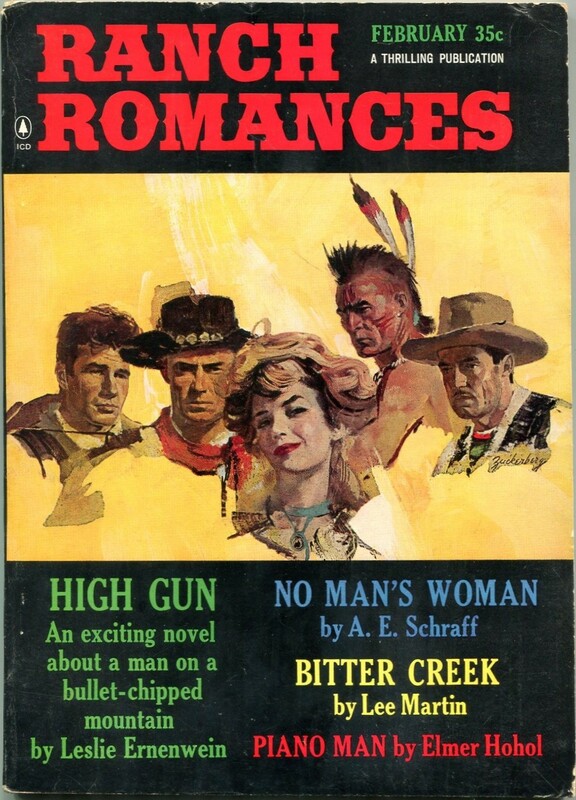 Cover looks like Robert McGinnis or Ron Lesser, but I can’t prove it. UPDATE: Ron Lesser has claimed this cover as his own. 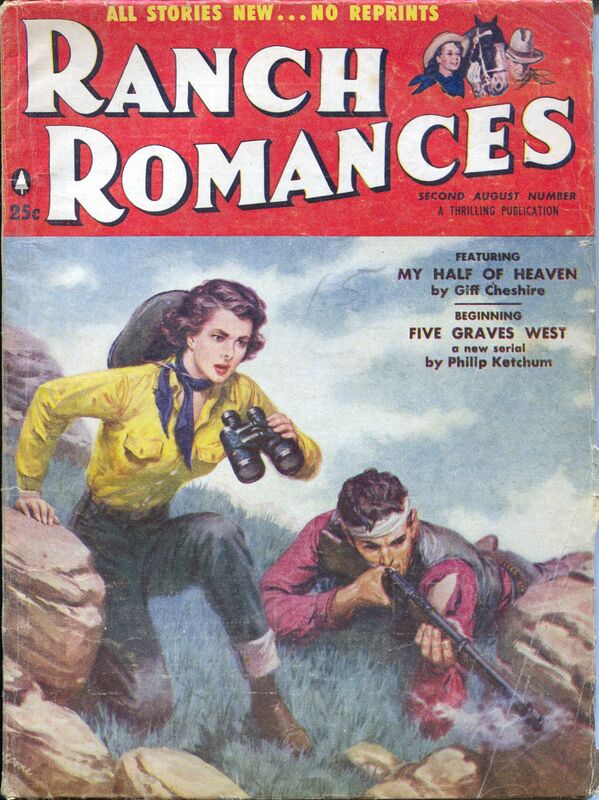 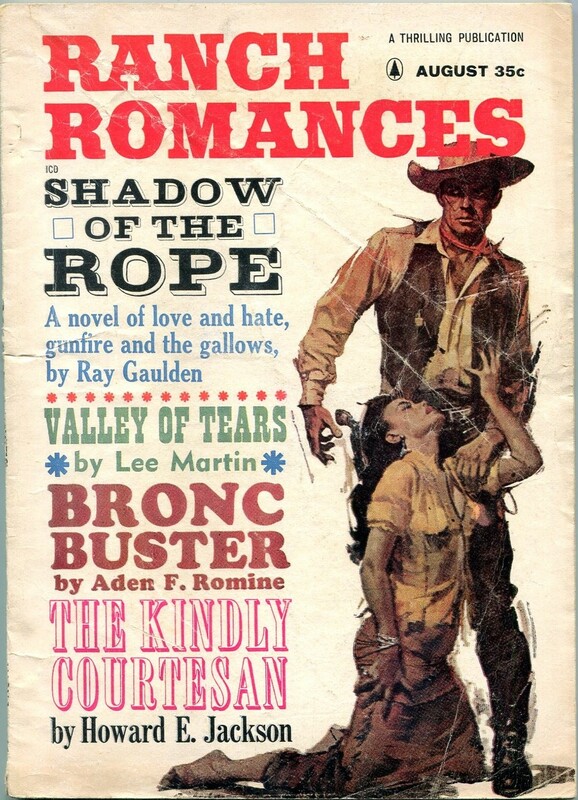 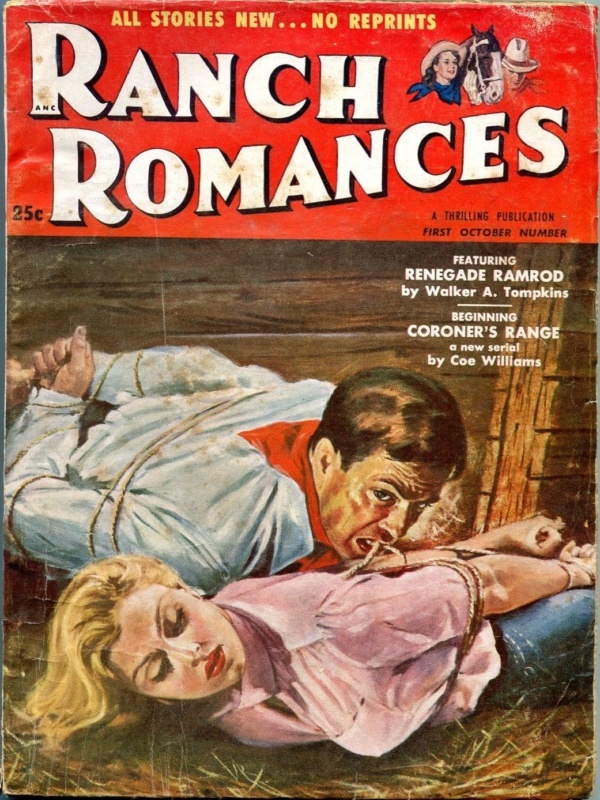 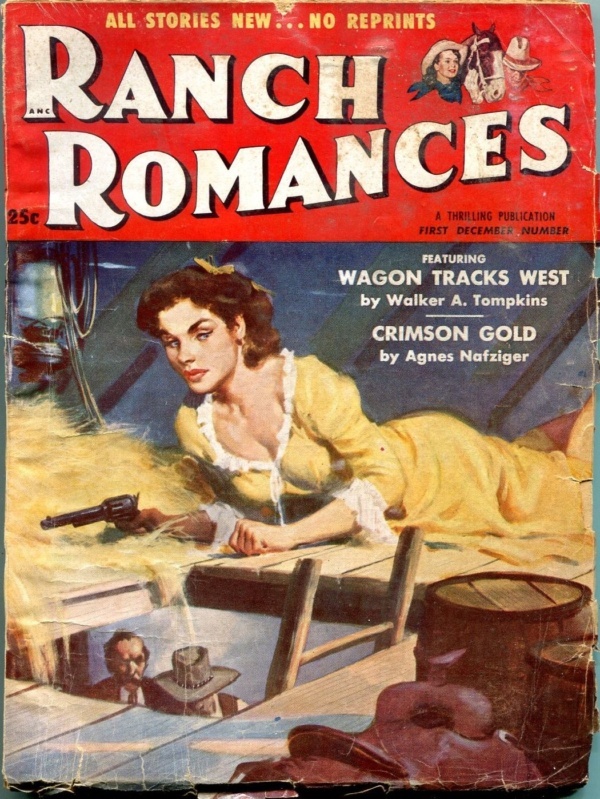 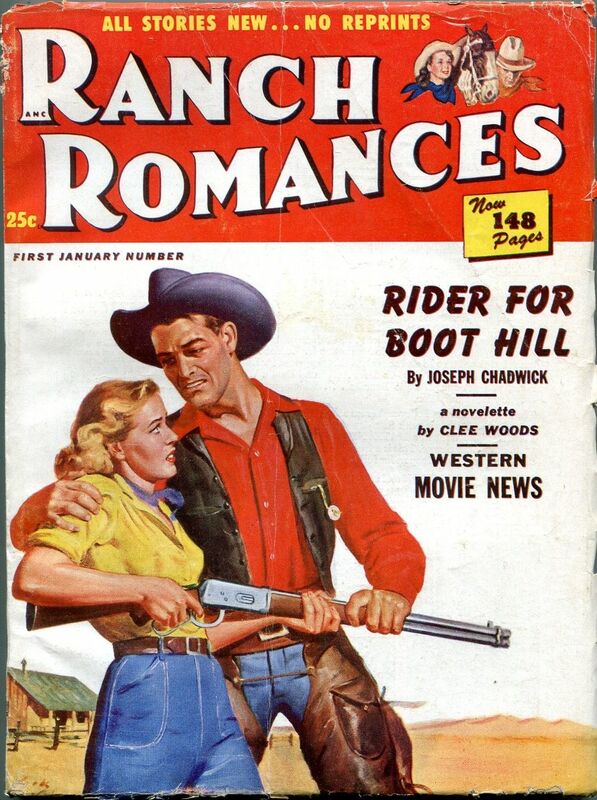 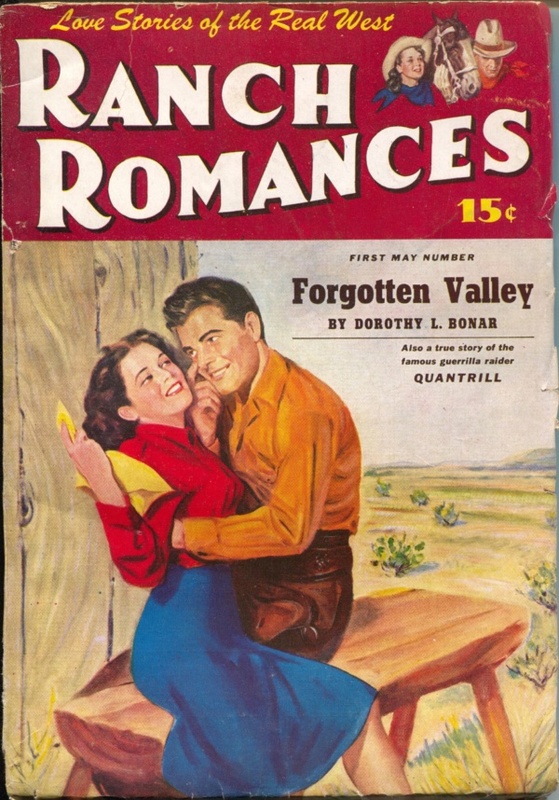 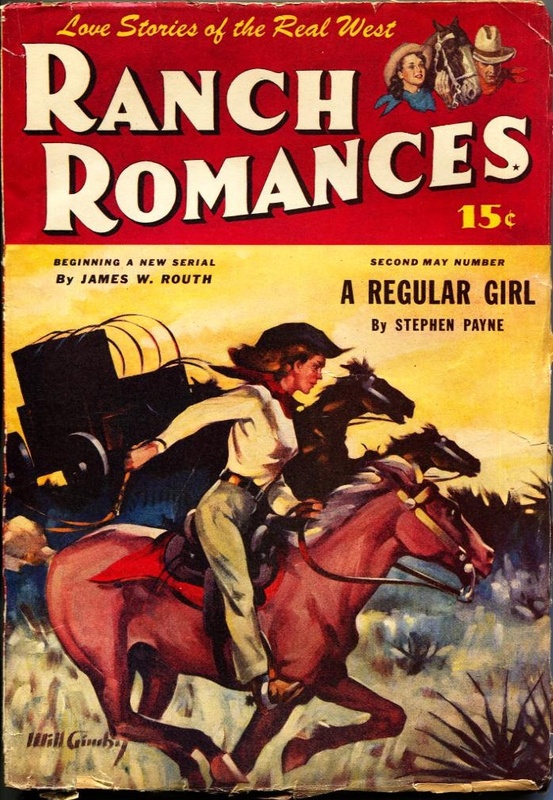 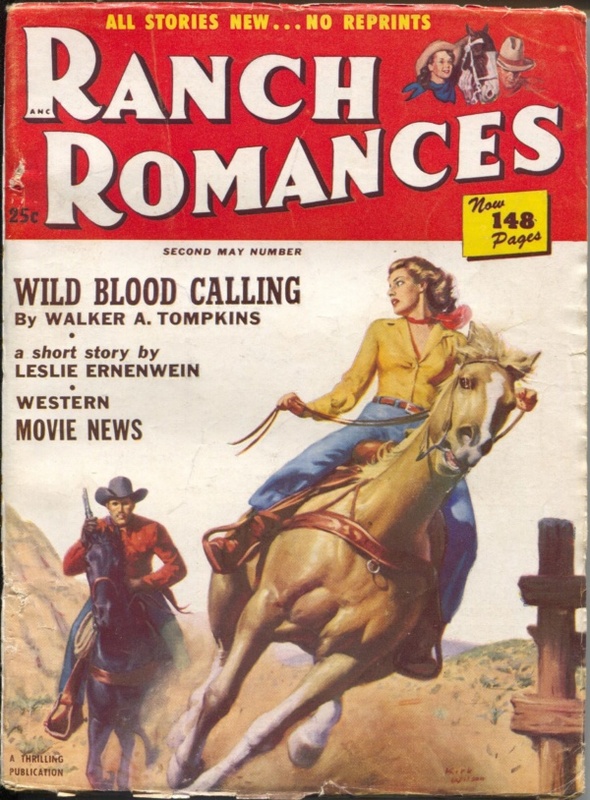 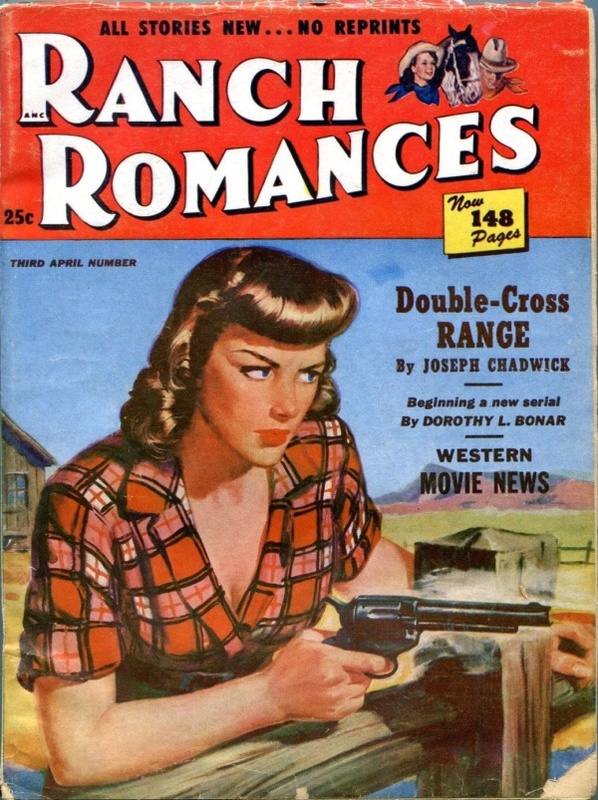 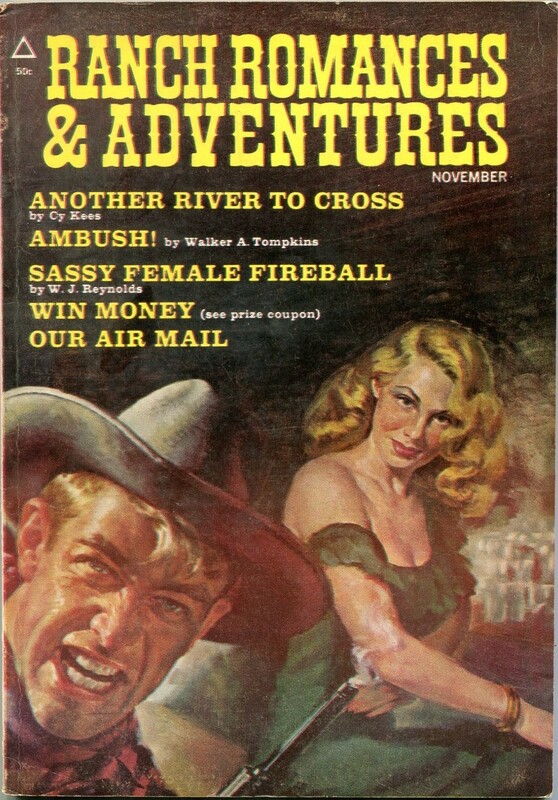 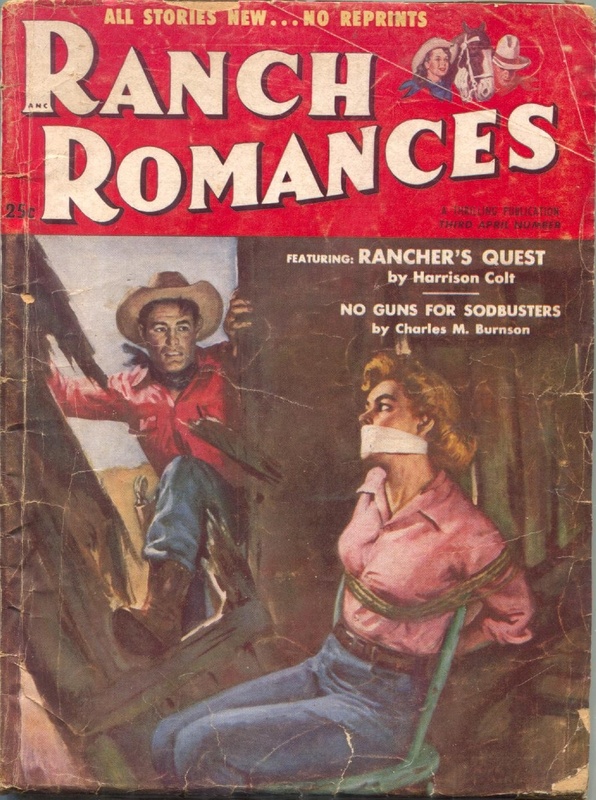 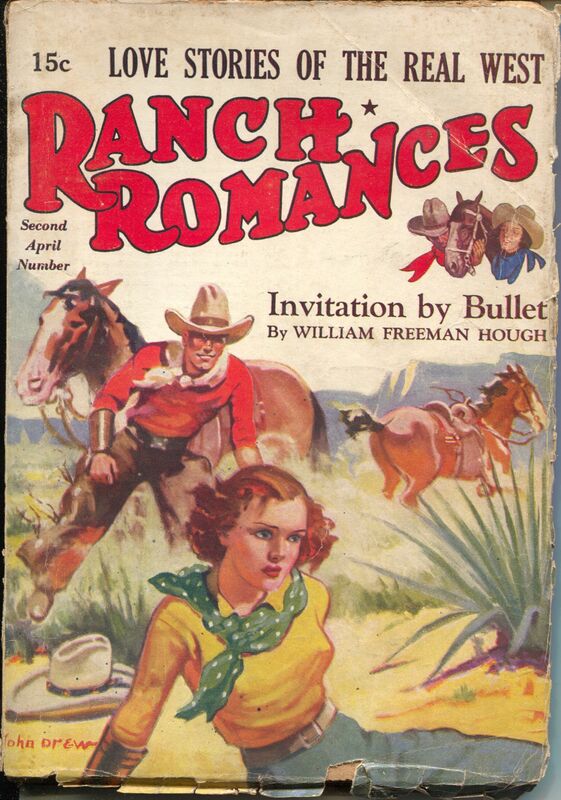 This issue from November of 1971 was not only the last issue of Ranch Romances, but the last true pulp-format magazine ever published. Other titles which continued past this date had switched to digest format.